Have been in London at the Emblems and Enigmas heraldry symposium. My presentation was in a group with others on informal French heraldry, football club badges and crests, and modern attitudes to heraldry. The discussion afterwards was fascinating and very broad; very good day altogether and organisers hope to publish the papers. After that went to Derbyshire walking in the Hope Valley (around Hathersage, Stanage Edge, Hope, Castleton and so on). 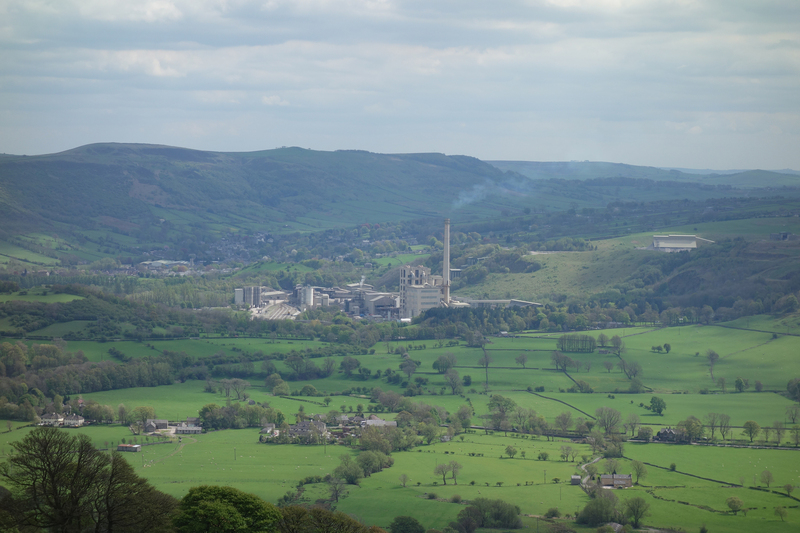 Lots of people get upset about the very obvious presence of the Hope Cement Works, but it seems most of my photos are views of the works….. So back to reality now and getting started on my Victorian and Edwardian industrial buildings book. Sadly the cement works is just too late for inclusion. This entry was posted in Industrial architecture and tagged heraldry. Bookmark the permalink.